What is a Robot Grippers? Robot Grippers are considered to be the end-of-arm tool or EOAT that is used for grasping or holding objects. The grippers are very important part in overall robotic functionality – especially when the robot is required to handle material and pick it and put it in places where it is required. Depending on the application, the robot should accurately pick up the right materials and put them on right locations. However, without the presence of a good gripper, the robot cannot perform these said tasks. These grasping parts of robots that can be seen in processing plants that produces high-volume production outputs should be accurate and reliable enough. There is an increasing need for more efficient and automated systems and the gripper technology is a great contribution. With this in mind, the robotic automation has become more laser focused on doing collaboration with other human workers – as opposed to totally replacing them in the industrial settings. Because of this very reason, the most advanced robot grippers that exists on the market have been systematically design to collaborate with humans in processing plants. The existence of other robot grippers now has the maximum force that are being limited by its design. It is based on complicated and meticulous research about human pain thresholds. 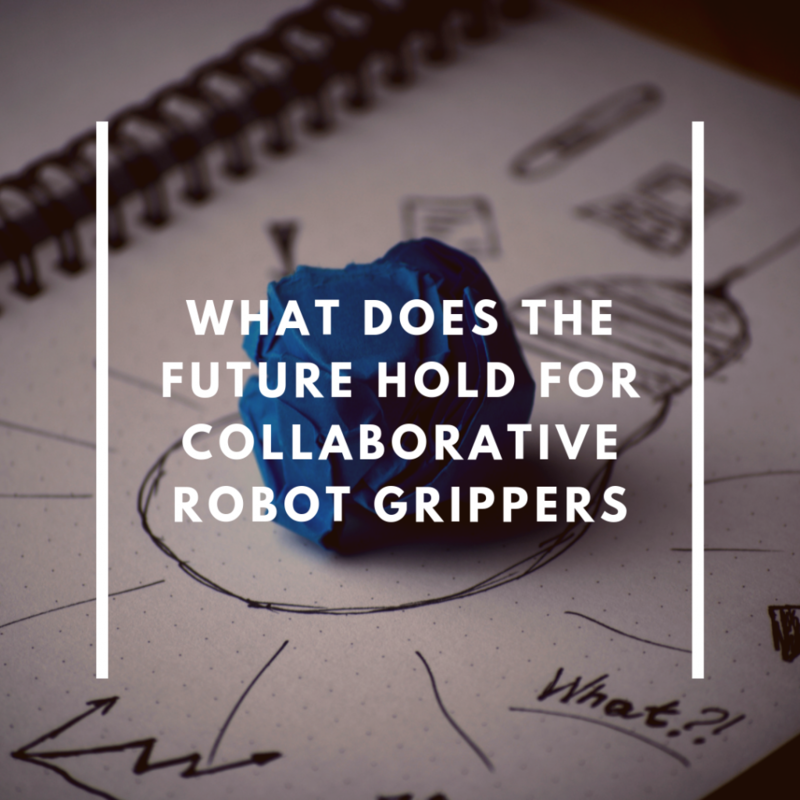 The collaborative effort of robot grippers is built and designed to never extend amount of force more than what can be tolerated. This makes them totally safe around human workers in any industrial setting. With this in mind, the robot grippers of the near future will now consider to take the safe collaborations with humans to a whole new levels. The prototypes of some robot grippers has good advanced sensors that can determine the presence and movement of fellow human workers. The sensors can give this information that will help them trigger and avoid evasive movements or it can automatically shut down itself to avoid the dangerous work scenarios that can harm personnel. In addition to this, the are tactile sensors that are being given in robot gripper prototypes. This technology allows the robots to identify for themselves the amount of forced they are exerting to hold a specific object. The other sensors on the other hand can contribute to the overall and higher efficiency and accuracy in some gripping applications by helping locate the appropriate parts, even if the items are not in the same placement orientation. Robot grippers are an essential aspect of robotic functionality in many applications. Robotic grasping capabilities can only advance as fast as the gripper technology that enables this process. The near future will see major innovations in robot grasping. The robot grippers that will exist in the near future will be smart devices (like our mobile phones) that are capable of having a safe collaboration and working environment with other human workers. There will be advanced sensor systems that will make these robot grippers to have sense of touch and a good advanced safety system to help them avoid dangerous and unsafe situations. Robot grippers are very important aspect of a robotic functionality utilized in many applications. The robotic grasping capabilities will advance as fast as the gripper technology. We can expect that the future will have big and large innovations in robot grasping.